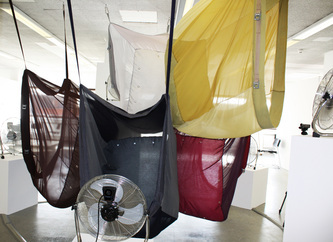 anti sculpture from ed baptist on Vimeo. 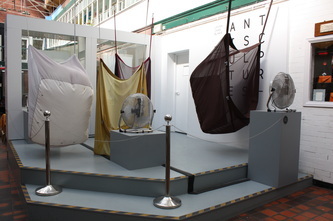 Anti-Sculpture’ is a search for alternative methods to build structure, opposing techniques that reduce or solidify materials to produce permanent structures. 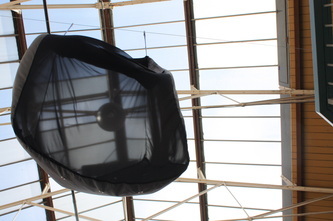 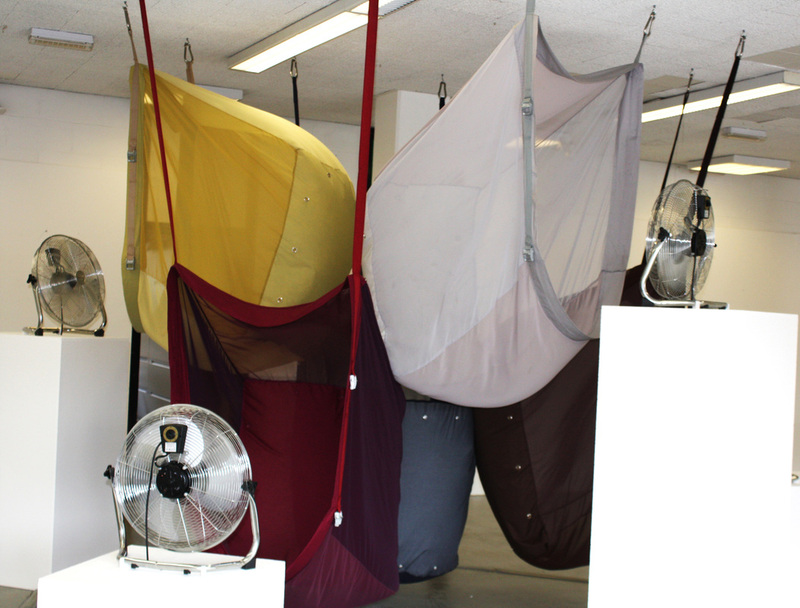 The focus is on the process of inflation in performing, ephemeral textile forms. During the course of ascension and descension these fabric envelopes remain unpredictable in identity, evading consistency even when flat. The semi-permanence of these objects is highlighted in the before, the during and the after. 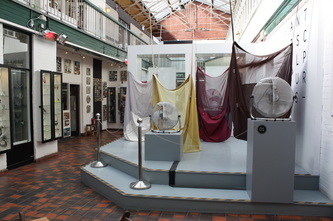 ​Based upon my degree show, I was awarded the 6th Annual Solo Exhibition Award by Manchester Craft And Design Centre. 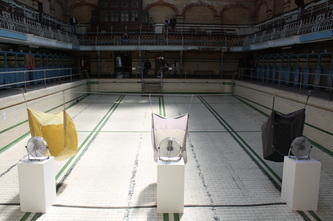 The images also show the work at Victoria Baths, Manchester as part of Handmade, an exhibition bringing together technology and craft for Future Everything Festival 2012.